Throughout the history of anatomy, the lymphatic system has long been seen as mysterious. First described in the 4th Century by the likes of Aristotle and Galen as vessels containing a milky fluid it took many years for anatomists to realise the lymphatic system was unique and separate to the circulatory system. The lymphatic system consists of an extensive network of vessels. It also includes lymph nodes clustered around the body. Some are found in the axilla, beneath the mandible or along the inguinal canal. These nodes receive lymph from specific body regions. The lymphatic system collects excess interstitial fluid from around the body and returns it to the venous circulation. While in the process of regulating tissue fluid balance, the lymph fluid passes through the lymph nodes, where it is scanned as part of the immune response. Lymph nodes are full of B and T lymphocytes, which can react to the presence of foreign antigens, initiating an immune response. This is why when you have symptoms of an infection, your doctor will ask to assess for any swollen nodes around your body. Lymph nodes will swell with increased B & T lymphocyte activity. Today, doctors and researchers consider the lymphatic system a very important factor in the metastatic spread of cancers. If tumour cells can travel to regional lymph nodes through the lymphatic system, it has a large prognostic effect of secondary tumours and reduced survival. However, this has opened up new research methods for anti-metastatic therapies. Finally, if you ever get a chance to visit the Anatomy Museum at Edinburgh University, visit the life-size engraving of a cadaver specially dissected and injected with mercury in 1788 by Alexander Monro Secundus. 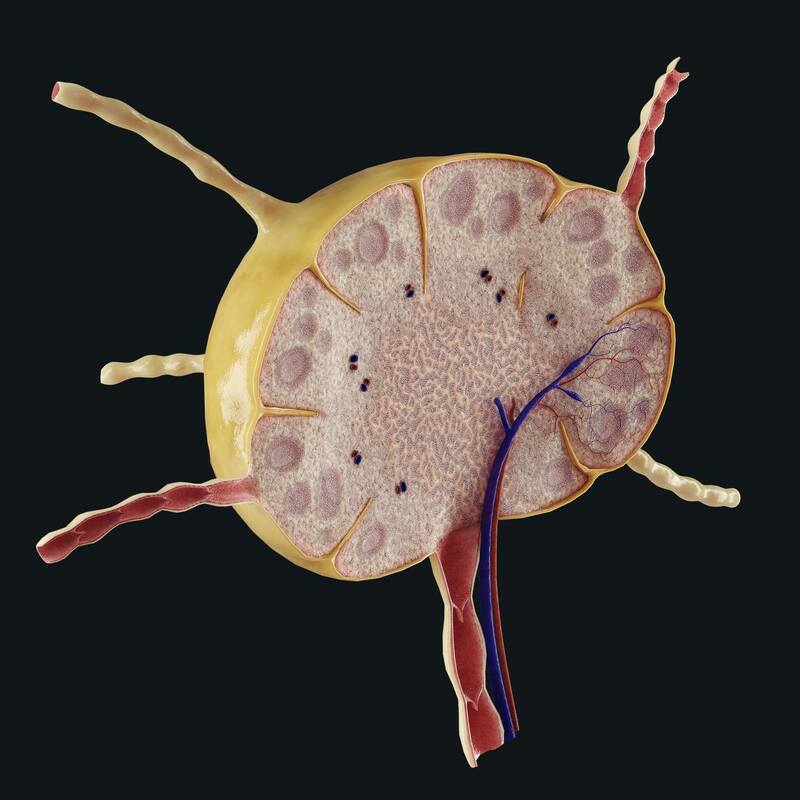 It is one of the earliest and clearest representations of the complete lymphatic system. ❓Question time: Do you know the name of the veins which lymph fluid is deposited into to return to the circulatory system?